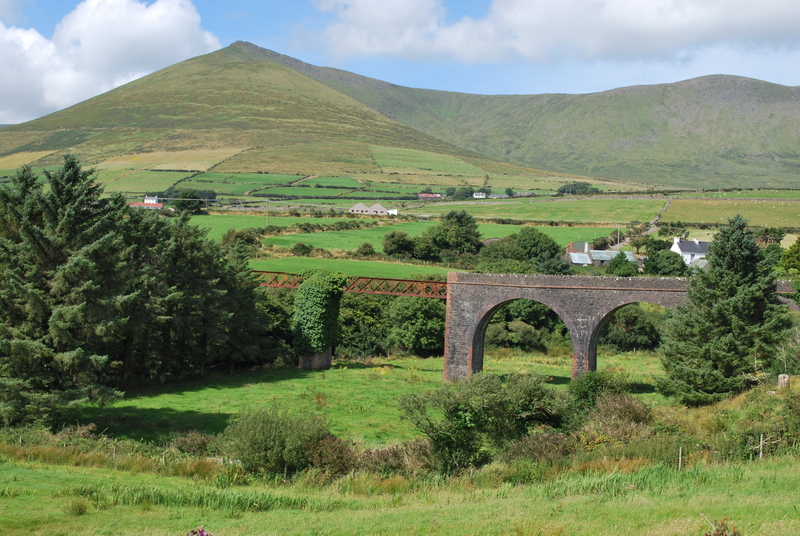 A view of the part-stone, part-iron viaduct at Lispole in county Kerry, over the river Owenalondrig river. Built c. 1891 as part of the Tralee-Dingle light railway, closed in phases in the 1940s and early 1950s. Behind is Croaghskearda mountain (2,001ft). Here is the map link.